Daily tasks and tips to strengthen your marriage and love bigger, even through the hard days—a 28-day relationship building challenge. February is about to hit us like a Mack truck, loves. I want to help us all get through by equipping us with the biggest weapon of mass compassion there is—LOVE. Need some help, a little nudge to reach in and pull some big, impactful love out of your quiver? I thought you might. 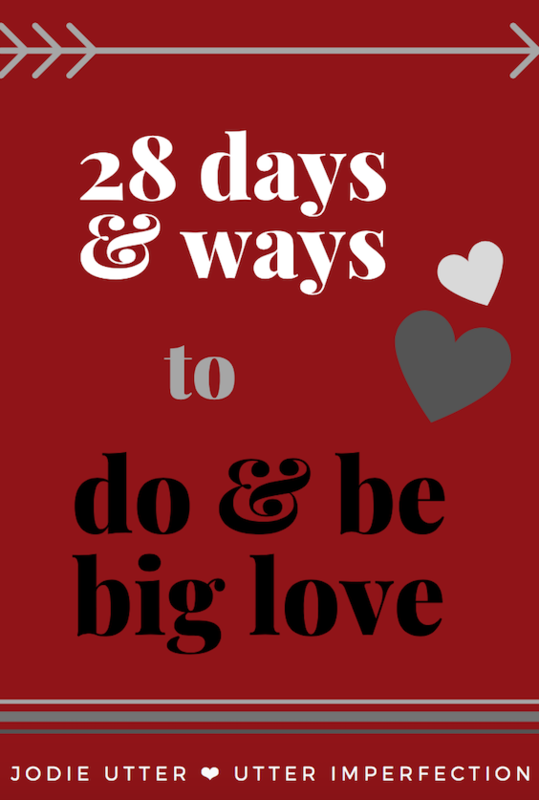 So … More Daily tasks and tips to strengthen your marriage and love bigger, even through the hard days—a 28-day relationship building challenge. Leave a comment Daily tasks and tips to strengthen your marriage and love bigger, even through the hard days—a 28-day relationship building challenge.